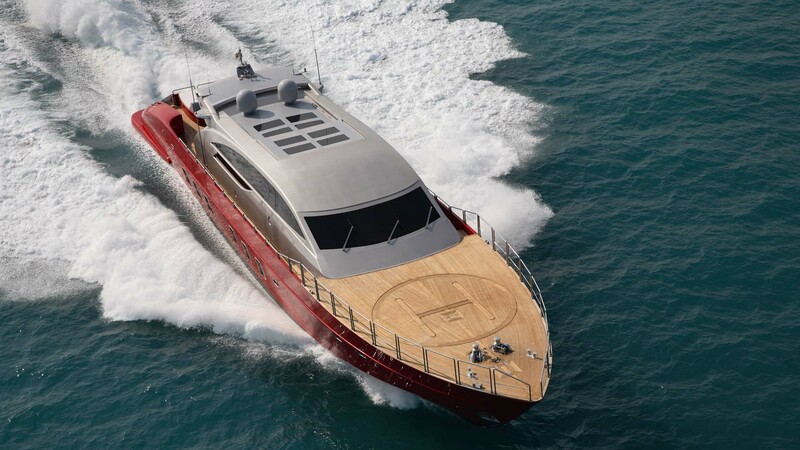 Glitz, wealth, extreme technology and determination: these are the main features of Standarte, 35 meters long. 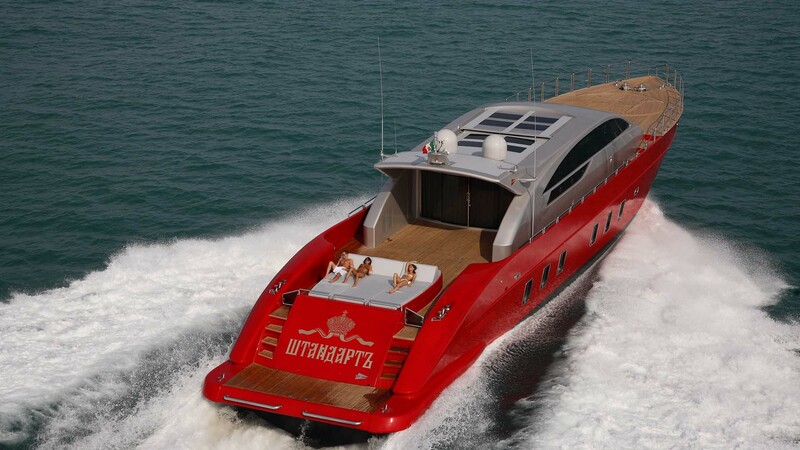 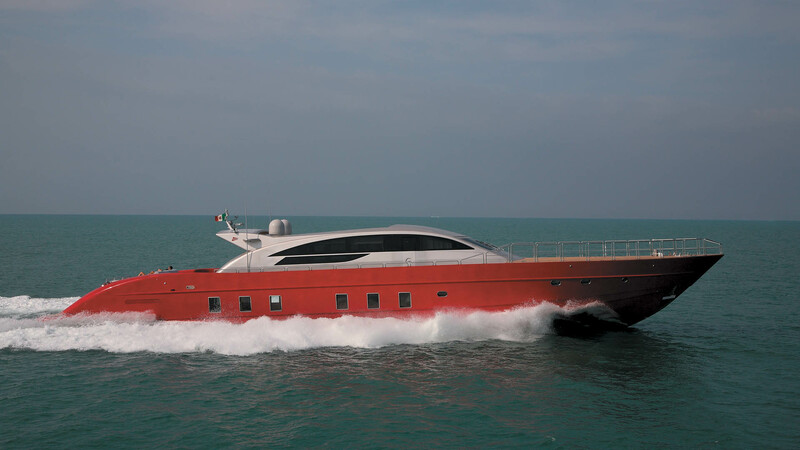 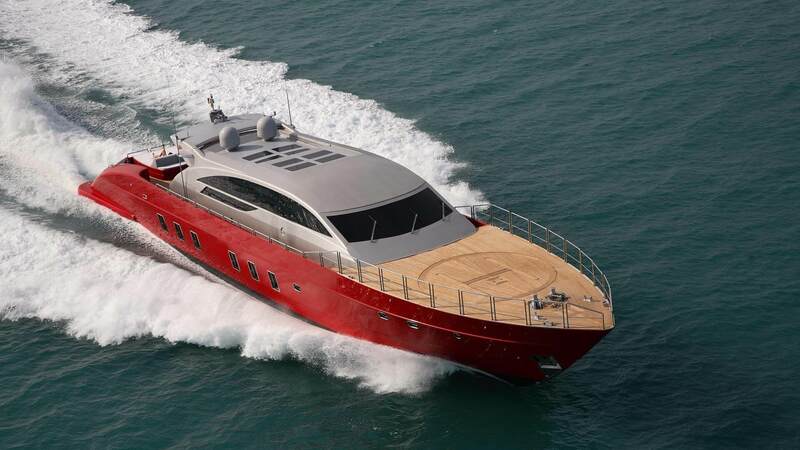 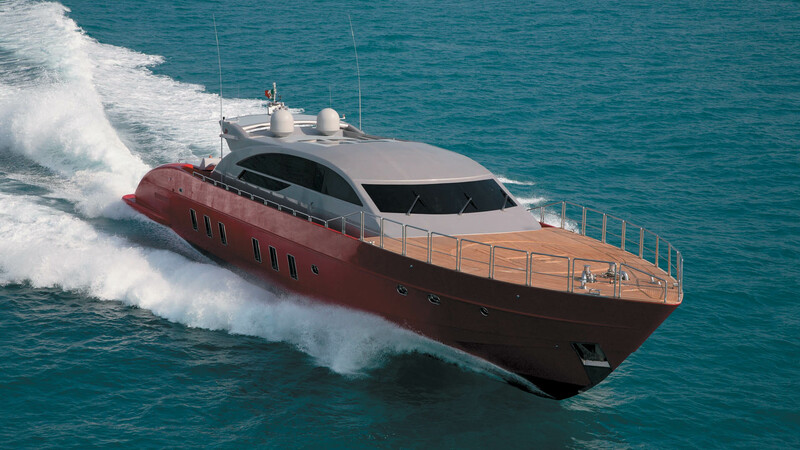 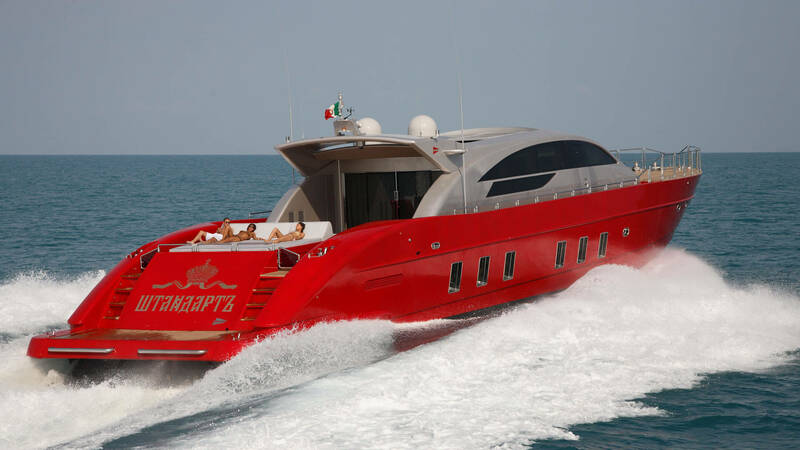 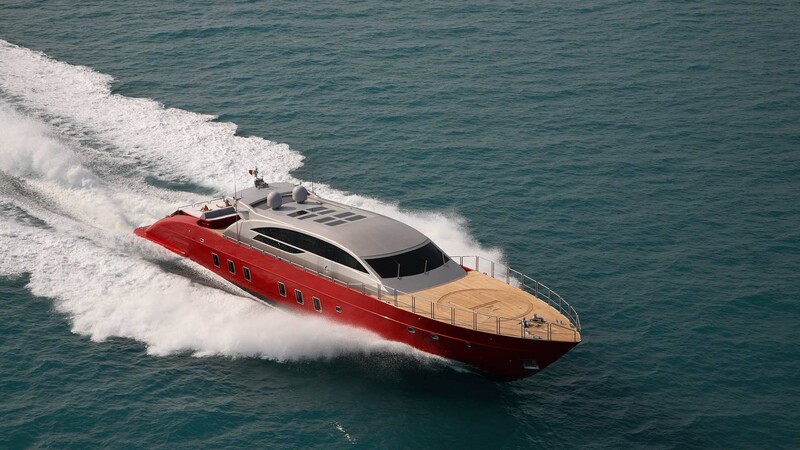 Red hull and superstructure silver external lines that give a snappy and aggressive spirit, highlighted also by the bow area that has been specially designed to allow the landing of a helicopter. 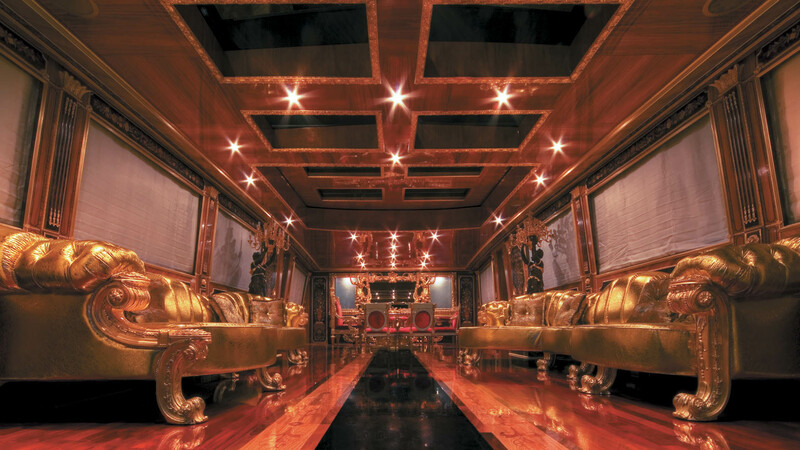 The interiors are inspired by the 17th century with lacquered ceilings, floors in padoux, gold, ebony and precious materials. 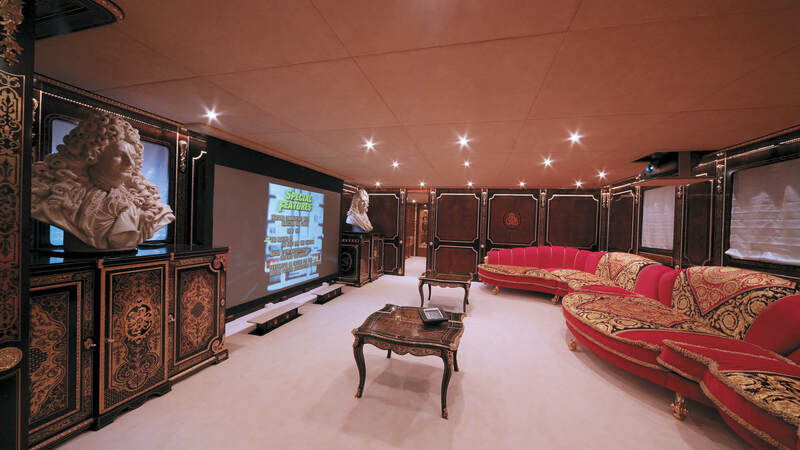 The large dinette, furnished with two sofas in gold is extremely bright thanks to large Windows and side openings on the hard top. 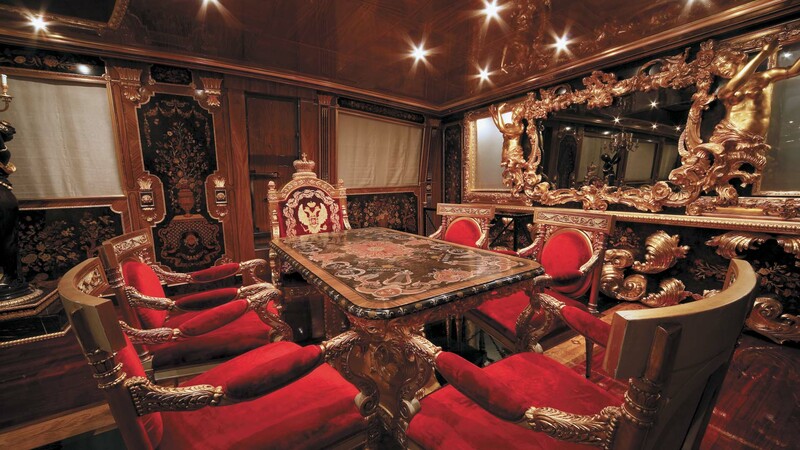 In the dining area the pageantry continues with an inlaid marble table and a throne devoted exclusively to the shipowner. 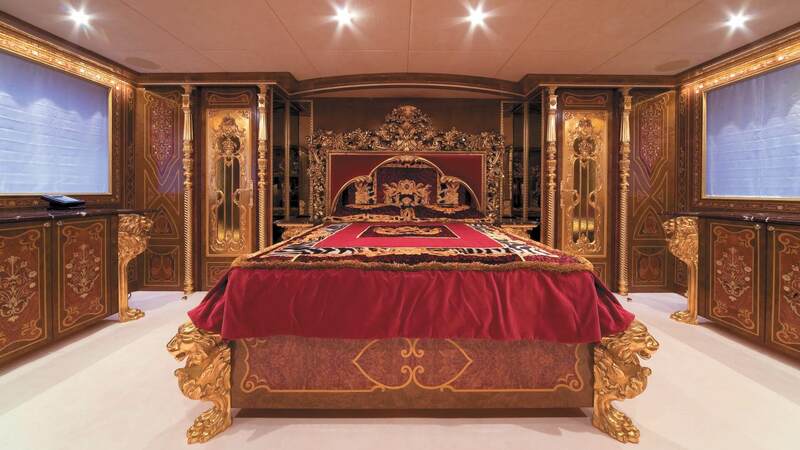 The master suite has a large bathroom with Jacuzzi bath for Chromotherapy and a large shower in the center position. 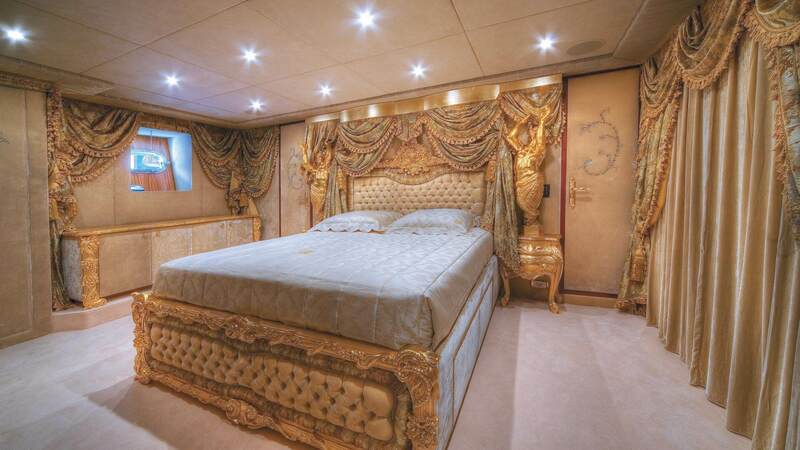 The VIP cabin in the bow, in gold and cream, is embellished with Swarovski 4000 adorning the bedpost and curtains.